If military orders this PCS season have your family moving to Colorado Springs, you're probably already thinking about the outdoor living, high desert, gorgeous mountain views, and legendary ski resorts in the area. 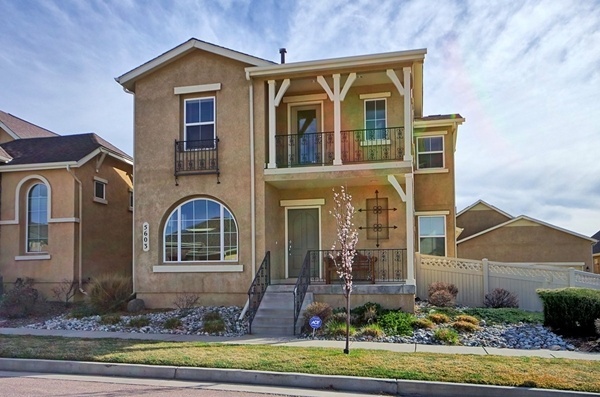 After learning more about the "The Springs" with our post 9 Things Military Families Should Know Before Buying a Home in Colorado Springs, you'll want to set your sights on your next home and start house hunting! Lucky for you, this edition of MilitaryByOwner's Homes of the Week features four stunning properties near the U.S. Air Force Academy, with plenty of space for your military family and amenities galore. Looking for lots of space for your family to grow? Check. But how about a home located in one of the top rated school districts in the state? You'll get that, too! This 4-bedroom, 3.5-bath home will more than check off every item on your home wish list. 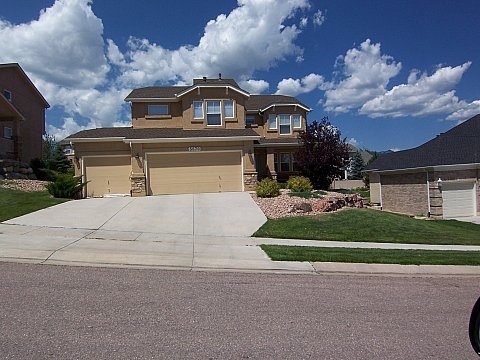 With 3,768 feet of living space, this bright and airy home is a dream for a family relocating to the Colorado Springs area. While prepping school lunches in the spacious kitchen with breakfast bar, you'll catch a glimpse of the mountains through the living room windows. Then, simply step outside your back door to enjoy stunning views of Pikes Peak and the front range from the newly remodeled deck. With a quick commute home from the U.S. Air Force Academy, you'll have ample time at the end of your day for a soak in the hot tub in the adjoining gazebo. Other extras include a gas fireplace, 3-car garage with work bench, whirlpool tub in the master bath, finished basement, wood flooring in the dining area, and new carpeting. You'll want to tour this home in person! 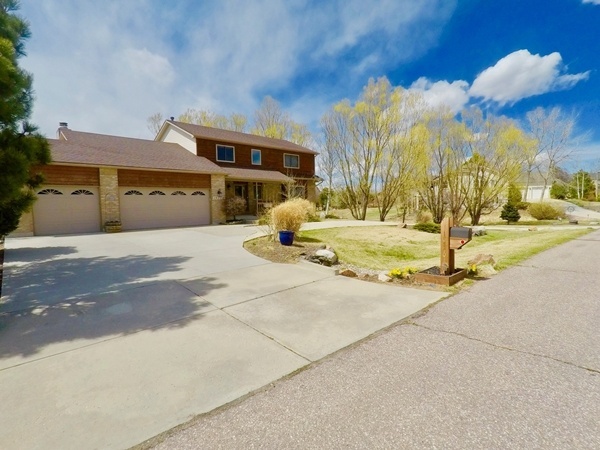 If you'd prefer to spend your time in Colorado hiking or skiing rather than doing chores or yard work, this low maintenance, paired patio 4-bedroom, 3-bath home fits the bill. The former model home includes snow removal and fully maintained landscaping. Located on a corner lot in the Flying Horse community, the stucco and stone home includes a 10' x 15' covered patio, wet bar, and attached garage. The chef in your family will delight in the hardwood flooring, new stainless appliances, and granite counter tops in the custom kitchen. With 2,650 feet of living space and located in the desired D20 school district, this home is turnkey ready for your military family. On a corner lot in the neighborhood of Parkwood at Wolf Ranch sits this gorgeous home. The 4-bedroom, 3.5-bathroom rental includes all HOA amenities and a responsive property management team. 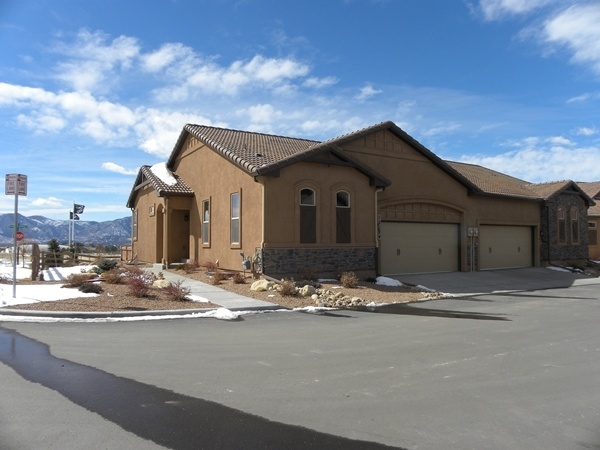 You'll find upgrades throughout, like built-in speakers in the master bedroom, master bath, dining, family room, and garage, his and her closets in the master suite, the deep soaking tub in the master bath, and a private balcony where you'll have a view of beautiful Pikes Peak. Would 4,100+ square feet be enough for your growing family? This 5-bedroom, 4-bath open concept home has plenty of space for your family and the many guests who will want to visit your palace in University Park. In this master planned community, you'll enjoy quick access to I-25, downtown Colorado Springs, and Denver. The wall of windows in the main living area welcomes in the sun as well as the gorgeous mountain view. Other amenities include a 3-car garage, two family rooms, a movie/projection room in the finished basement, covered porch, oak wood floors, vaulted ceilings, and a gas fireplace. Professionally maintained landscaping and in-ground sprinklers will keep the yard lush, while the nearby Garden Ranch YMCA Rec Complex will help your family stay active! 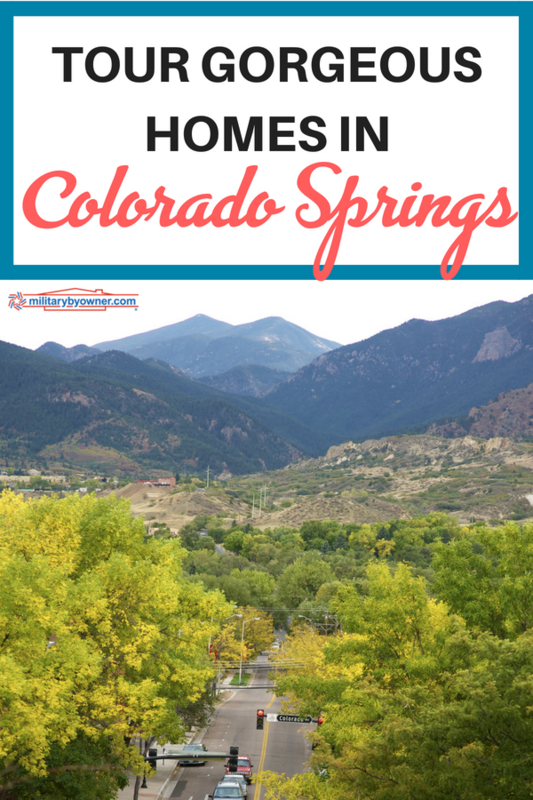 Looking for more listings in the Colorado Springs area? Click below!